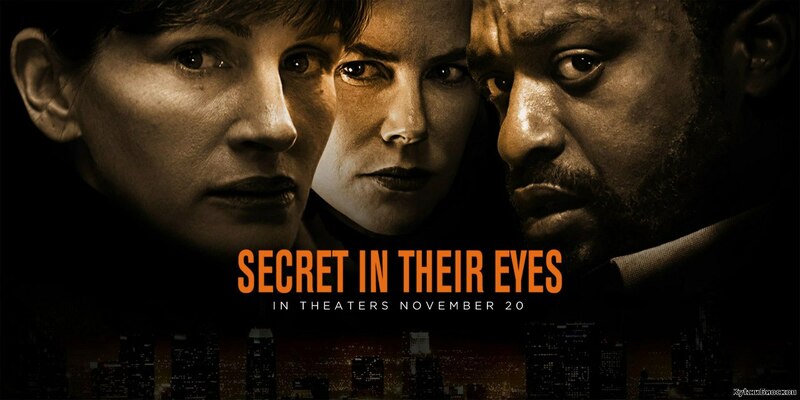 Movie Ramble: Secret In Their Eyes. It must have been difficult to remake a film that had deservedly won an Oscar for Best Foreign Language Film at the 2009 Academy Awards, and one which I would personal rate very highly. Billy Ray's 2015 remake of Secret In Their Eyes has a grand cast which includes Movie Ramble favourite Nicole Kidman, English actor Chiwetel Ejiofor and Julia Roberts but hopelessly fails to reach the heights of the original. The story revolves around a tight knit team of crime fighters who are torn apart when Jess's (Roberts) teenage daughter is brutally and inexplicably murdered. Finally after unsuccessfully searching for the killer for thirteen years Ray (Ejiofor) finally uncovers a new lead that he is certain will resolve the case. Although the story is somewhat different from the original film it still has that twist at the end. But please don’t expect the same level of quality or story line that the original movie offered.